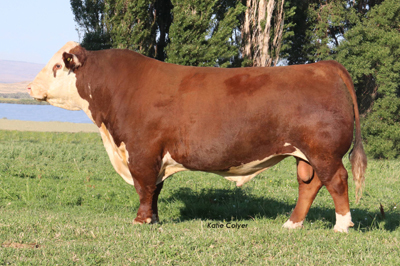 Mr Canada was our selection in the 2016 WLB Hereford Dispersion Sale. Our first calves by him hit the ground in the Fall of 2017 and we are excited about his progeny. His deep flank and deep stifle go well with his carriage and masculinity. He stands on a big foot and steps out with an aggressive stride. 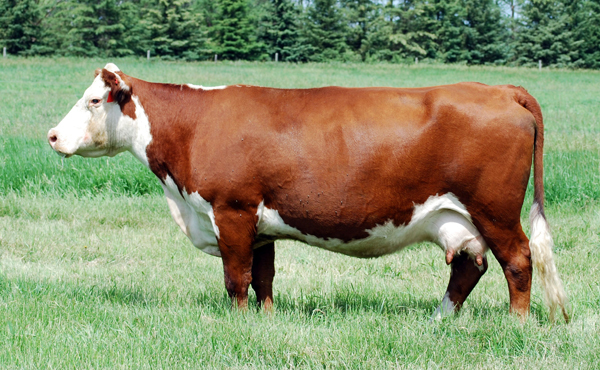 We also purchased his dam, pictured at 10 years of age, in the sale and have flushed her a few times. 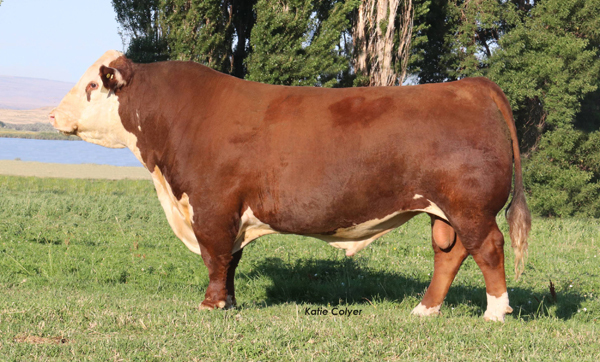 Mr Canada's first set of progeny will be offered this fall in the 17th Annual Fall Female Sale.